Moody, silky and littered with EDM and trap touches that lend the tunes an otherworldly vibe, Red Pill Blues is the kind of album meant to be enjoyed in the quiet before dawn, long after the pounding dance clubs have fallen silent. Where the heart-aching "Best 4 U" sets the tone with its Daft Punk-style disco purr, incandescent chords and Adam Levine's famously tender falsetto, the R&B-massaged ballad "Whiskey" -- featuring rapper ASAP Rocky threading his flow through the its crawling groove -- represents the record's atmospheric charms at their most immersive. 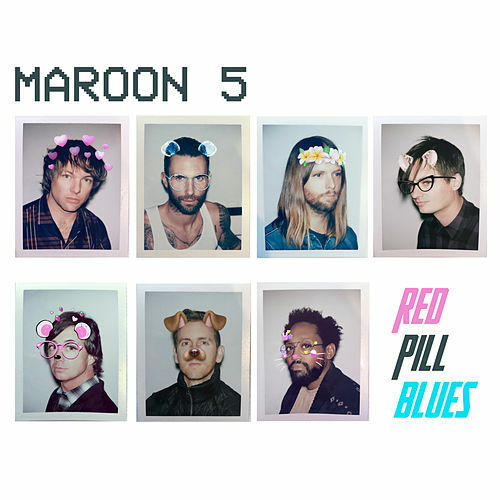 But while Red Pill Blues certainly contains some of Maroon 5's most pop-oriented productions, the album-ending "Closure" is over 11 hypnotic minutes of ambient-tinged jazz fusion that reveals an entirely different and experimental side to the veterans.